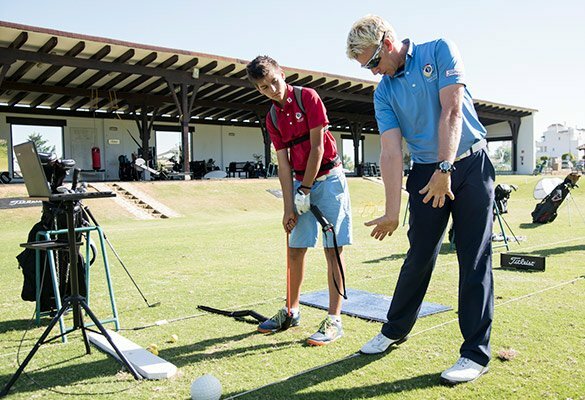 At the Jason Floyd Golf Academy, we understand golf is an amazing tool to educate our Student-Athletes not only in Athletic Development, but also development of Character and Personal Etiquette. We believe every Student-Athlete is an individual and requires a programme based around their personal needs. There’s no “one size fits all” in golf, we are all different shapes and sizes and have different capabilities, which all need to be catered for. Our passion, is in the success of our Student-Athletes both on and off the golf course. Using Jason’s experience of working with numerous touring professionals on the PGA and European Tours, we have designed and developed a very boutique approach to our philosophies at the JFGA, allowing us to ensure our Student-Athletes receive personalised programmes in the Technical, Physical and Mental aspects specific to their individual game. We have created a structured platform for our Students-Athletes to learn to work independently and as part of a team, under the watchful eye of a team of experts in their specific fields of Technical, Physical and Mental Performance, all under one roof. We believe constant communication between the coaches in each department is a vital element to our Students-Athletes success. The programmes, the team and the technologies we utilise have all been combined to deliver a purpose built programme focusing on the development of Junior Golf Performance to the highest of world wide standards, providing the perfect platform for success and a pathway to University Scholarships in the USA and/or onto the European and PGA Tours. Our Student-Athletes initial “Body Swing Link” assessment forms the basis for their personalised programmes. Through a TPI Physical Screening and a Biomechanical and Video Swing Analysis, we discover the link between the Students-Athletes Physical and Technical capabilities. Using the collected data, an individualised, and synced Physical and Technical Programme is devised, using the facts as opposed to a coaches personal philosophies and preference in swing styles. The same process is completed for all aspects of the game from Long Game to Putting. We understand that the correct use of the latest “State of the Art” knowledge, technologies and bio-feedback tools is essential to ensure our Student-Athletes receive the best opportunity to improve. We work with technologies such as K-Vest 6 and 3D, Trackman Launch Monitors, BodiTrak Forceplates, V1 Video Analysis and SAM Putt Lab on a daily basis, along with being Brand Ambassadors with Titleist Golf, giving us access to all the latest Titleist fitting equipment and Titleist Performance Institute Programmes. On a weekly basis, the Student-Athletes are educated on the Mental aspects of the game, learning about emotion control, stress management and pressure performance, constantly applying their Technical and Physical Skills in pressurised environments. Our ambition is to leave no stone unturned, giving all of our Student-Athletes the best opportunity for success in golf and in life, whichever path they choose, that we possibly can. Corporate days are a great platform to entertain new and existing clients for companies. They provide an unrivalled opportunity for networking in a fun and relaxed environment, along with creating a great experience and full of memories. Wether its the experience of a client improving their game or just simply being entertained at a Championship venue, or the combination of the both, the client leaves the day with an unforgettable impression of the day and therefore the host company. Corporate days can be hosted anywhere in the world and conducted with many different formats to suit the necessary requirements. With world class instructional techniques, cutting edge technology with highly trained coaches the the JFGA team provide an unrivalled corporate product. Why not let us entertain your clients and gift them with a service and experience that will help forge a lifetime relationship. To guarantee our Student-Athletes constant competitive rounds of golf all year round, we host our own JFGA Junior Tour, with fortnightly tournaments for the students and other local Juniors to participate in, even during the off-season. With access to numerous amazing golf courses here in the Costa Del Sol, the students are primed and ready to take on their Major Tournaments during their competitive seasons, having been exposed to competition golf for all 12 months of the year. The Junior Tour offers continuous competitive experience providing a great a resume for each player to present to college coaches and grounding for the road ahead when competing in NCAA events. 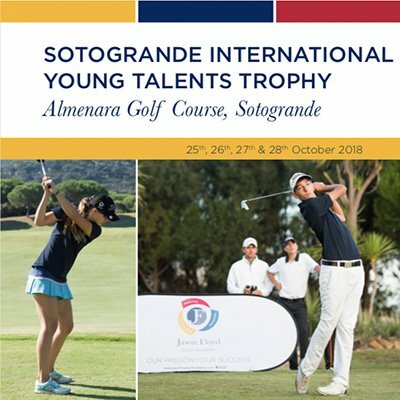 Once a year in October, we host our JFGA JT Major, the Sotogrande International Young Talent Trophy, a WAGR event attracting many of Europes best Junior Golfers looking for some end of season WAGR Points.